I usually avoid religion in my posts since it is such an inflammatory subject, but I can no longer ignore the inclination of some people to apply religious morality to the subject of coal mining. “If God didn’t want us to use coal, he wouldn’t have put it there!” I’ve heard it a dozen times from friends and family back home. It’s even been preached in sermons to coal miners and their families and proclaimed at coal rallies. My question is….have we mined and used coal in a way that would make God happy with us? Has coal been a source of benevolence for the world—or has it been a means to further greed and oppression? Let us look at the history of coal. 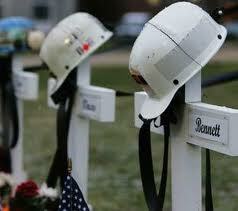 In the early days of coal mining thousands of men and boys lost their lives every year in the darkness of a mountain. The owners of the coal mines were ruthless and full of greed, paying as little salary as possible and turning coal miners into slaves through company script. They even hired mercenaries to maintain the status quo. The coal that was removed from the mountains by the blood, sweat, and tears of Appalachian families was shipped off where it would be put to use making steel in massive mills and generating electricity. These mills and power stations polluted entire cities and caused countless deaths from respiratory illnesses . The steel mill owners, like the coal company owners, were full of tempestuous greed, treating their workers in much the same ways as in the coal camps. 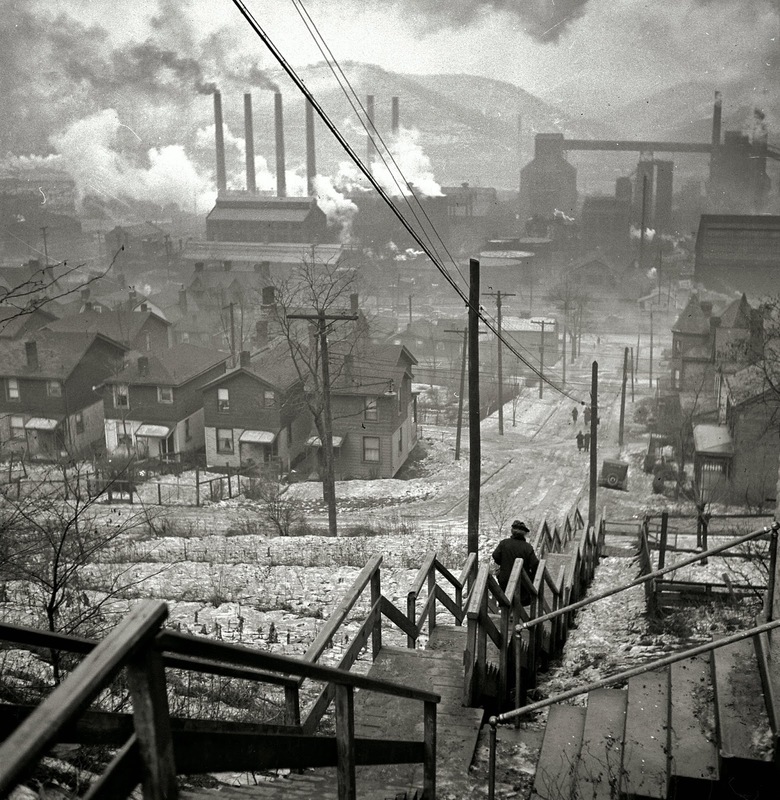 Though rank and file unions ended some of these abuses through many bloody battles, the greed of coal and steel industries continued to exploit their laborers, denying them safety in the drive for more production, refusing them health and black lung benefits, and even finding ways to avoid their pension obligations. And what of the steel that was made? What purpose has it served? Bridges, railroads, massive skyscrapers and buildings, and even machines of war that have spilled blood the world over. Have these things made us a better people? Have they brought us closer to God? The world created by coal has never been one of justice and equality, especially the justice and humility taught to us by Jesus. Billions of people throughout the world are cast into extreme poverty as the industrialized nations build larger cities and wage needless wars for resource wealth. Millions of people attend churches powered by coal, hearing the good word of Jesus’ teaching while ignoring all of the suffering and despair caused by their love of comfort, convenience, and material things. “Cheap energy” is the new gospel that breaks the backs of thousands of coal miners. A “healthy economy” blinds people to the unhealthy water sources where coal is extracted, cleaned, and used. God’s creation is being polluted and destroyed, torn down in the name of progress, but what kind of progress and is the benefit shared equally throughout the world? And so I ask, would a loving God, who created this amazing world full of life, full of so many wonders, who sent his only begotten son to teach us lessons of love and humility—would such a God have placed something here capable of creating so much harm and hatred? Would He tell us to lay waste to the lands He created so we could mine coal for a better economy—for more money? God provided us with everything we need on this Earth. Have we truly needed coal? Did He intend for us to be devoted to a patriotism that is dependent upon fossil fuel energy? Did God intend for us to work in the coal mines, to destroy our bodies while other people get rich? Could coal have ever been used to benefit mankind without becoming a means of source of corruption and oppression? What if coal isn’t a gift from God? What if it was placed here by someone else to be our greatest temptation? Has coal created love, or a love of money? Thank you for your thoughtful writing. I moved to West Virginia 16 years ago. I respect coal, and remember how it heated the homes of my youth. I was hopeful after the gains of the 60’s for miners. Now I’m disheartened to see how they have been co-opted by the companies. Keep it up!